A few of what I considers as essential mods created by Xenius compiled into one easy download. Xenius and everyone on this list. Note: This is not my work, everything you can find in this compilation pack belongs to Xenius. Also, please note that the README in the 7z is outdated as I've made several changes to the README. If you're interested in reading the up-to-date version click the README tab. 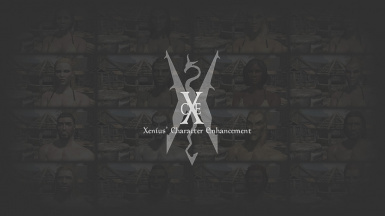 Long story short: There is no all-in-one download of Xenius' mods, so I've compiled them so others will be able to download them without going through pages and pages to figure out which one is more updated and which one you're supposed to download. The mods I've picked and compiled is lore friendly, so mods like Xenius' Dryad race won't be included. 2. Create an SKSE folder in your Data folder if you don't have one. 3. Within the SKSE folder create SKSE.ini and add the following into the .ini file. 4. Enable the esp file if you wish to use XCE - Morrowind Warpaint.